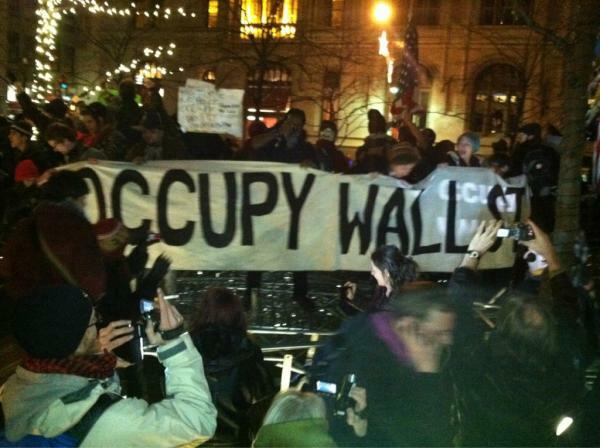 MIDNIGHT UPDATE: Liberty Square has been retaken. 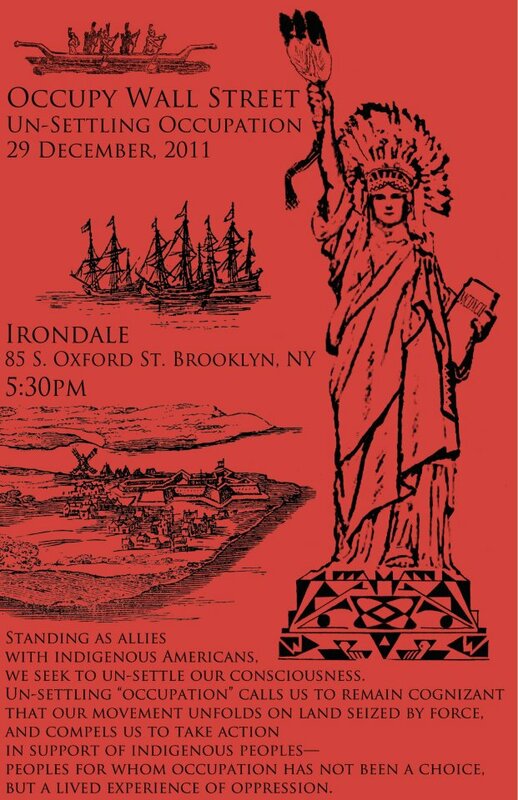 New York, get down there now! See below for Live updates from the ground. Tonight, expect a General Assembly in Liberty Square at 7pm, a noise demo in front of the Manhattan jail at 9pm, regrouping en masse at Liberty Square between 10pm and midnight, then partying in the streets as we go mobile. See here for full plans for the night! 2011 was an amazing awakening. Let's start 2012 off right! 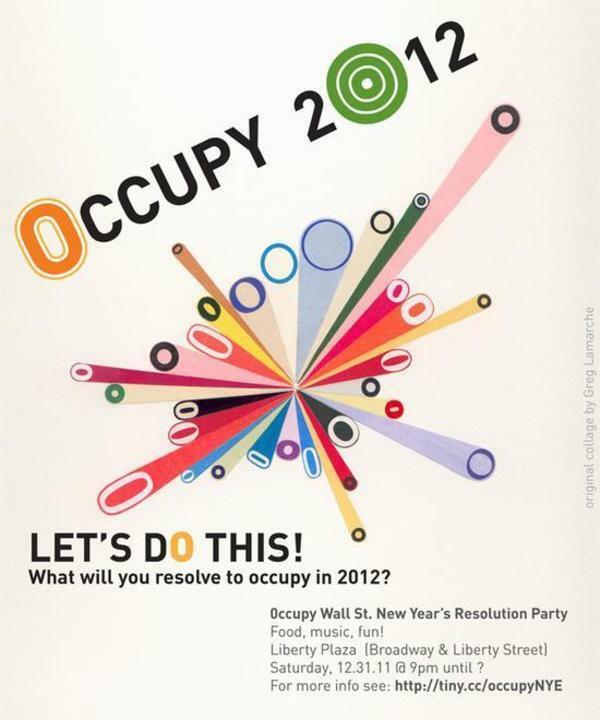 Come celebrate with thousands of other members of the 99%, at our park and in the streets, as we make our special New Years Revolution together. Bring a drum! Bring your instrument! In the 2 hours before, we will reclaim our park and the area around it. 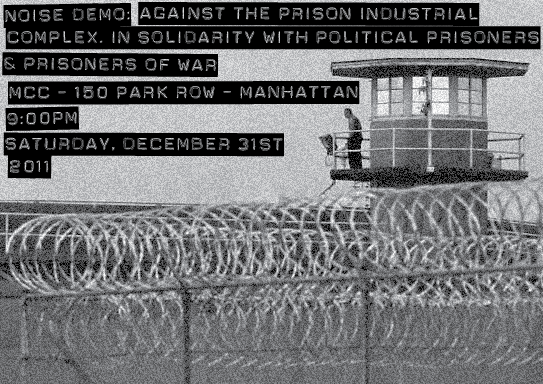 First, come to the Noise Demo outside the Metropolitan Correction Center (150 Park Row, New York, NY) at 9:00pm. Then, at 10:00pm, we will gather in Liberty Square. At midnight, the party goes mobile! As the United States prepares for another election year and presidential candidates gather to begin their corporate-financed campaigns, we are again presented with politicians that have all been bought by Wall Street and the 1%. Occupiers from across the country are also gathering in Iowa to disrupt presidential campaigning and Occupy the Caucuses to remind the world that the "liberal/conservative, Democrat/Republican dichotomy is a distraction from the real social conflict undergirding American society: the 99 percent versus the 1 percent.."
Today, protesters were arrested inside Wells Fargo bank while asking bankers how much they had "donated" to presidential election campaigns.